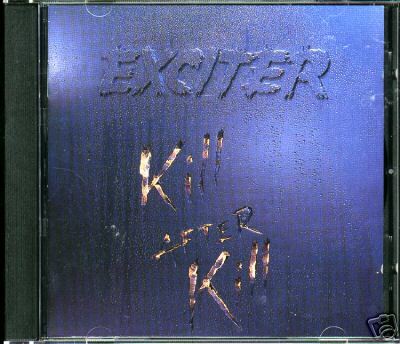 Exciter is a speed metal band from Ottawa, Ontario, Canada. Despite many changes in personnel, they have managed to keep a small but dedicated following for nearly 20 years. In 1978 the band Hell Razor formed in Ottawa ON,Canada. The band consisted of John Ricci (guitars), Dan Beehler (drums) and Allan James Johnson (bass). 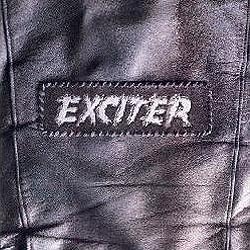 In 1980 they changed their name to Exciter and recorded a demo which they then sent to Mike Varney of Shrapnel Records. Varney included one song from it, "World War III", on the compilation album US Metal Volume II in 1982. Shortly after that Exciter were signed to Shrapel Records. In 1983 they released their debut album, Heavy Metal Maniac. Later that year Exciter signed a record-deal with Jon Zazula's Megaforce Records and 1984 they released their second album, Violence & Force. After a few opening dates with Anthrax They embarked on their first U.S. tour with Mercyful Fate. 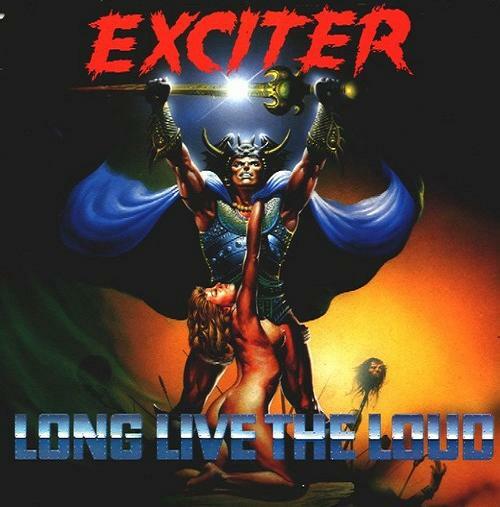 Exciter switched to a new label, Music For Nations and travelled to London to record their third album (produced by Motörhead producer Guy Bidhead). The album would be titled Long Live the Loud. It was a slightly more 'mainstream' heavy metal sound than the speed/thrash metal of the first two albums. After its release the band went on an European tour with Accept and later a U.S. tour with Motörhead and Megadeth. Before the year ended they released the 3-track EP [[Feel the Knife, which was the last release from the original line-up. Shortly after its release, John Ricci quit the band and was replaced by Brian McPhee. Along with a new guitarist came a new, more melodic sound. 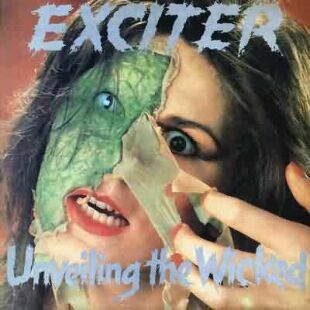 The next album, Unveiling the Wicked, was released in 1986 on the Music For Nations label. After its release the band went out on a very successful European tour with Motörhead and Manowar. It was decided at this time that Dan Beehler (who had handled both drums and vocals since the band's inception) would not sing anymore. 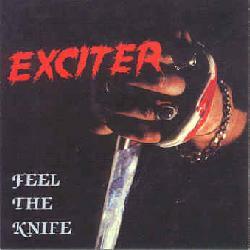 A new vocalist was found in Rob Malnati who made his debut on the 1988 album Exciter(O.T.T.). The album was released on the Canadian record label Maze Music. 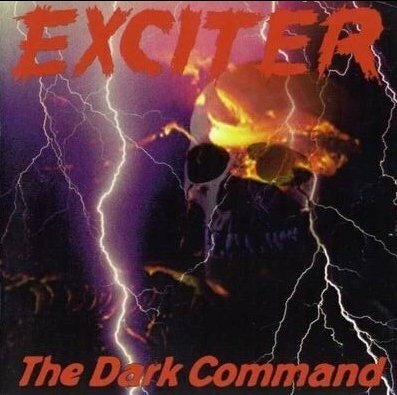 With Exciter(O.T.T.) the band pushed the melodic sound even further. A Canadian tour followed but after that the band went on hiatus. In 1991 the band re-emerged with Dan Beehler on drums and also lead vocals again. Original guitarist John Ricci also returned to the fold. Bass duties were handled by David Ledden. 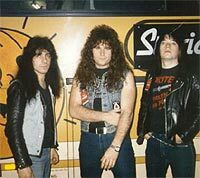 Their first recording was the song "Born to Kill" which appeared on a compilation album titled "Capitol Punishment" released in 1991. In 1992 the band signed with German metal label Noise Records and recorded their sixth album entitled Kill after Kill. The band went on a three week European tour with Rage. In 1993 they released their first live album, Better Live than Dead, which had been recorded during their 1991 Canadian tour. The album consisted of songs taken from the first three albums. After this release the band disappeared for a second time. It would be three years before they would be heard from again. In March of 1996 an almost completely new line-up was announced. Guitarist, John Ricci, was the only returning original member. Jacques Bélanger was the new vocalist and Rick Charron and Marc Charron (no relation) would handle drum and bass duties. The new line-up played a few well received shows in Canada before recording a new album entitled The Dark Command. This album was released in 1997. With one of their strongest albums in years, the band went out on a European tour with Anvil and Flotsam and Jetsam. Between 1998 and 2000 the band was basically dormant with only two festival appearances in the 2 year span. The summer of 2000 saw the release of the follow-up to The Dark Command entitled Blood Of Tyrants. The new album was heavier and more aggressive than its predecessor. In the fall of 2001 Jacques left the band due to "creative differences". A year later Marc quit to pursue a career in the technology industry. At the beginning of 2003 a new line-up was announced, with John and Rick returning along with vocalist Rob Degroot and bassist Paul Champagne. This line-up only lasted until March of 2003 when Rob Degroot was let go. His replacement was former vocalist Jacques Bélanger. In 2004 Paul Champagne was released from the band. The band recorded New Testament with John on both guitar and bass. New Testament would be a "best of" album of re-recorded classics from throughout the band's entire career. Later that year, bassist Rob "Clammy" Cohen would join the ranks. The year 2004 would end with the band heading out on a European tour with Steel Attack. Jacques Belanger left again in 2006.